But is it any different in the Pal. Authority? What is it - the counting? the coordination? the physical effort? Is the 'Apartheid' Claim Working? Is the 'Apartheid' claim working or is Rice just trying to be sympathetically and empathetically cute? US Secretary of State Condoleezza Rice reportedly said in Annapolis this week that her childhood in the segregated South had helped her to understand the suffering on both sides of the Israeli-Palestinian conflict. "I know what its like to hear that you can't use a certain road or pass through a checkpoint because you are a Palestinian. I know what it is like to feel discriminated against and powerless," Rice told a closed meeting of Arab and Israeli representatives, according to the Dutch representative at the summit, Franz Timmermans. "Like Israelis, I understand what it's like to go to sleep not knowing if you will be hurt in an explosion, the feeling of terror walking around your own neighborhood, or walking to your house of prayer," Timmermans quoted Rice as saying, the Washington Post reported. Rice described her childhood in Birmingham, Alabama, during the era of segregation and the killing of four young girls in a bombing at a Baptist church in 1963. She reportedly said the bombing, which killed one of her classmates, helps her understand the fear of terrorism felt by Israelis. I don't think she understands anything about the Arab-Israel conflict at all. The author of a highly influential government report on illegal outposts in the West Bank has recently warned the government against approving a new justice ministry proposal that would allow state funding for outposts, Haaretz has learned. In her letter to the Ministerial Committee on Unauthorized Outposts - a panel which was formed to implement her report on the subject - Tali [oh, she's cute little 'Tali' now and not Talia?] Sasson says the proposal would constitute "a clear and immediate violation of the prime minister's prior commitments to the president of the United States." More below but to the point or, rather, her point. Olmert's comittment to Annapolis and President Bush concerned "unauthorized outposts" Authorized outposts are fine. I mentioned that matter in a previous post of mine - she should really read my blog. Talia's a lawyer. She doesn't understand? What part of that sentence above doesn't she understand? The ministry's proposal, which will come up for discussion in 10 days, advocates cementing Jewish ownership of land that is owned by Palestinians, Sasson said. She also criticized what she called "allowing state funding for illegal outposts." The proposal was drafted in consultation with various parties, including settler and political leaders. One of these leaders was Avigdor Lieberman, who is a member of the committee on outposts and leader of Yisrael Beiteinu. Political analysts anticipate the committee to vote in favor of the proposal. Kadima's members of the committee - Vice Premier Haim Ramon, Foreign Minister Tzipi Livni, Justice Minister Daniel Friedmann, Public Security Minister Avi Dichter and Minister for the Development of the Negev and the Galilee Jacob Edery - are expected to vote in favor. "The proposal clearly conflicts with the report's findings and recommendations, and does not agree with the government's decision to form the ministerial committee in March 2005," Sasson wrote in her letter - a copy of which was sent to Attorney General Menachem Mazuz's office. "The proposal only appears to keep with the spirit of the document. But by stating exceptions to the rules put forth in the report, the proposal suggests turning the exception into the rule and vice versa," Sasson recently told the committee. 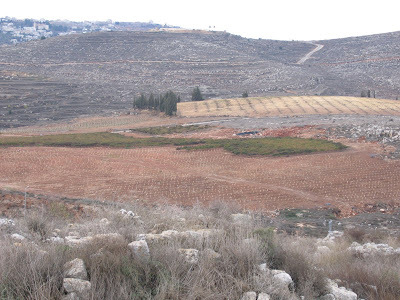 A major contention for Sasson is a clause stating that settlements would be allowed to realize old building plans that have been approved by former governments. "This allows expanding settlements by a letting them form a new 'neighborhood' several kilometers away from the main settlement," Sasson says. "These so-called neighborhoods will in fact become new settlements." P.S. No, they won't. They are part of the existing communities. Blair no longer believes that "land for peace," in and of itself, is sufficient. He made this point emphatically in a speech he delivered a few weeks ago at the Saban Forum in Jerusalem. What is no less important, in his view, is the character of the Palestinian state. He wants to see a state with stable institutions that are properly run, particularly from the security point of view. He constantly reiterates that in talks with senior PA officials, and baldly warns them: "There won't be a Palestinian state unless it is coherently governed and run, and anyone who tells you different is misleading you." Cisjordania is Spanish for the "West Bank" (see here, for example, an interview with Moetzet Yesha Chairman Dani Dayan) which is funny to me because as a Jabotinskyite, we were taught that the Palestine Mandate stretching from the Mediterranean Sea in the West to the Iraqi Desert in the east was divided by British imperialism seeking to assuage the violent Arabs who, in 1920 and 1921, were already killing Jews in Jerusalem, Jaffa and Petah Tiqva in a politically-motivated terror campaing directed at civilians and members of the Old Yishuv community who were in no way identified with "nationalist Zionism" which the Arabs claimed was their enemy and not specifically Jews per se. Of course, they lied then and have been lying ever since. And that division was termed TransJordan east of the Jordan River and...CisJordan as the territory west of the Jordan River. But, I would presume, today's Spanish probably refers only to Judea and Samaria as Cisjordania whereas then, it included all the territory, including modern-day Israel. That, ladies and gentlemen, was today's lesson in political geographic semantics. 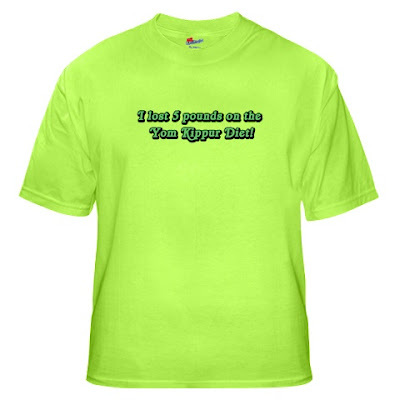 My VOA "10 second sound & sight byte" here. About one minute into the clip. the issue of Israeli sovereignty over the Temple Mount was not up for discussion. "I don’t think that we've done anything to hint that we're prepared to compromise over the Temple Mount." Olmert responded heatedly to questions about comments by Palestinian officials regarding their objections to recognizing Israel as a Jewish state. "We'll hold the negotiations with the Palestinians on the factual basis that Israel is the national home of the Jewish people, whether the Palestinians accept this now, or whether they'll come to terms with it in the future," he said. Well, Ehud, let me tell you what I think you have and haven't done to compromise over the Temple Mount. You don't allow Jews to pray, anywhere, even behind a tree, on the Temple Mount. You don't permit Jews to overtly identify themselves as Jews there but as "tourists". You don't stop illegal construction that destroys and eradicates the Jewish past. You don't halt the Muslim Waqf from its administrative exclusivity. You don't prevent extremist and radical Muslims from exploiting the Temple Mount. You allow Jordan to build a fifth minaret. 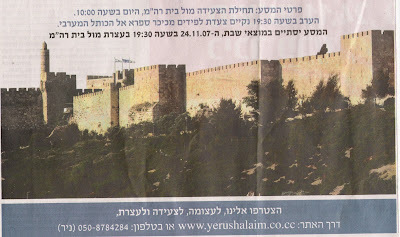 You allow Egyptian engineers to supervise work on the Southern wall but no Israelis. You permit construction work of ditch-digging to proceed with improper oversight. You did not counter press reports at the time that the Temple Mount will pass to a form of Muslim control rather than exclusive Israel sovereignty. You haven't built an overlook so that Jews who don't enter can see what's going on. I think that's enough compromising for now. Street musicians serenade the strollers on Jerusalem's Ben Yehuda Street. The pedestrian promenade is where Israelis come to stroll, shop and relax. Some, like Tamar Zeldon, said they are thinking about the Annapolis peace conference, where Israeli Prime Minister Ehud Olmert and Palestinian President Mahmoud Abbas pledged to resume peace negotiations aimed at the creation of a Palestinian state. "I always hope something will change, because we really need change. Yes, I think if they take it seriously it will make a real difference," he said. While some Israelis like Tamar Zeldon are optimistic, others like Jerusalem lawyer Daniel Mauden are less so. Mauden says he hopes for the best, but says he is not confident that leaders on either side can do the job. "I do not think the Palestinians are to blame, and I do not think the Israelis are to blame," he said. "I think that in the past few years they do not have the leadership they deserve, and we do not have the leadership that we deserve. We have two leaders that really cannot do a lot." About 450,000 Israelis live in West Bank settlements and in East Jerusalem, land Israel captured in the 1967 Arab-Israeli War. West Bank settlers and their political supporters are already denouncing the conference. Settler spokesman, Yisrael Medad, tells VOA that if Prime Minister Olmert tries to dismantle West Bank outposts, as he has pledged to do, he will not survive politically. "I presume his coalition will collapse. He is one of the weakest prime ministers Israel has had in a long time - politically, in a judicial sense in terms [of] ongoing criminal investigations, and his health issues. I do not think that the year will bring us the peace that he wants. The peace he wants I do not want," said Medad. Just a few kilometers from downtown Jerusalem, in the West Bank city of Ramallah, there is also widespread skepticism among Palestinians about what might develop from the Annapolis peace conference. Lawyer Mahmoud Qua'reem's reaction is typical of many in Ramallah. "We have long experience with Israelis. They do not want to make peace. The Israelis are not qualified to make peace because they want to take all of Palestine," he said. Polls show that about 70 percent of Palestinians supported the Annapolis peace conference, but most also believe that few tangible results will come from the effort. Palestinian political analyst Hani al-Masri says he is not hopeful, but at least now people are once again aware of the plight of Palestinians. "Now the Palestinian issue is at the head of the agenda of the whole world. Now they do not blame the Palestinians like before. That is good, but not enough," said al-Masri. There are Palestinians in Ramallah who have hope that benefits may result from the Annapolis conference. Taxi driver Mahmoud says it is time for Israelis and Palestinians to end their decades-long conflict. "I hope that something changes in our lives here," he said. "Stop the bloody killing, stop the soldiers and the problems we have here in the West Bank. We, each one in our beliefs, we believe in peace for all. We can live together." Palestinians in Ramallah and Israelis who live a few kilometers away have little in common. But, many in both communities say they hope the Annapolis peace conference will lead to an easing of tensions and a change for the better. 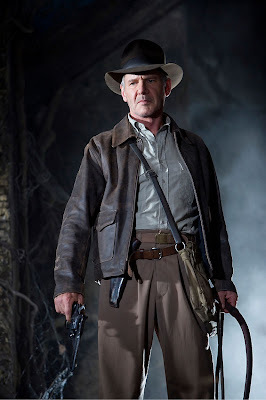 Harrison Ford's mother, Dorothy (née Dora Nidelman) was Jewish and his maternal grandparents, Anna Lifschutz and Harry Nidelman, were Jewish immigrants from Minsk, which makes him very Jewish. Mr. Bush’s speech, while calling for a Palestinian state and promising that he would do whatever he could to help things along, was notable in that he explicitly took on only one of the core issues, the fate of Palestinian refugees, and, on that issue, sided with Israel. Negotiations are about compromise, and some foreign policy specialists say Ms. Rice should have pressed Mr. Bush to back the Palestinians on something in return. For instance, Mr. Bush could have followed up his comments referring to Israel “as a homeland for the Jewish people” with language about territorial compensation, or land swaps, for some of the large Israeli settlement blocks in the West Bank that Israel would like to keep. He did not. Mr. Bush could have said Jerusalem would serve as the capital of two states. He did not. He could have said there would be compensation and resettlement for the Palestinian refugees. He did not do that either. Middle East specialists are saying that if Ms. Rice is to succeed in actually brokering a peace deal, she will have to get Mr. Bush to push Israel to agree to all of that and much more in the give and take of the haggling to come. A senior administration official said Ms. Rice and Mr. Bush decided before the president’s speech in Annapolis that he “would not stake new ground” during his speech. That hands-off approach is a marked contrast from the one taken by Mr. Clinton, who got so involved, including many meetings with the longtime Palestinian leader Yasir Arafat at the White House, that even Arab officials joke that Mr. Clinton was personally negotiating the terms for which roads and intersections in Jerusalem would be Palestinian and which would be Israeli. But those same officials say Ms. Rice has now reinforced the belief in the Arab world that the United States will side with Israel on the tough issues. Some Israeli officials say Prime Minister Ehud Olmert will actually need public American pressure to silence critics at home who will undoubtedly complain that he is giving away the store. “She hasn’t even pushed them as far as they want to be pushed,” said Daniel Levy, a former Israeli negotiator. "N" also stands for "Nothing"
I thought you might appreciate this "thought" - a "Delphic Thought"
Take the word Annapolis and take out one of the n letters. This leaves you with Anapolis. In ancient Greek ana means nothing and polis means state. I have posted here at my blog many pictures and also a good few posters, from all sorts of organizations and groups from across the political and ideological spectrum. Several have been funny, weird, outrageous and introspective. And do you notice the additional note to the side? 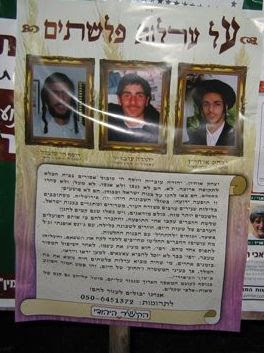 It shows three young Jewish men and tells the story of their arrest and sentencing. It seems that they discovered that young Arabs working in religious neighborhoods would return after work, dressed in jeans, clean shirt and slicked-down hair and present themselves as Jewish. The Arabs had Jewish names and were trying to hook up with "weak" girls. These three decided to become vigilantes and went hunting and found one called "Rafi". Rafi was beat up so badly that, the poster claims, he will not be able to produce children. 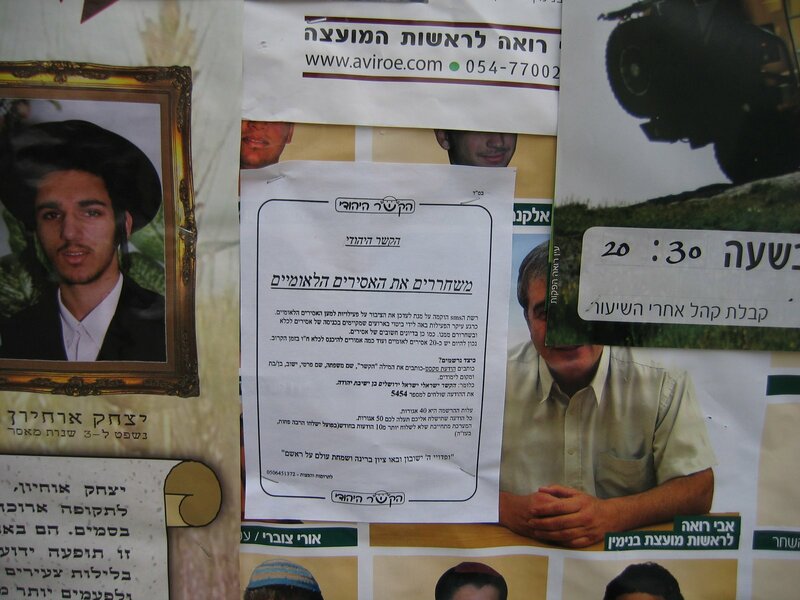 It is unclear from the language and terminology of the poster whether he had his member removed or just smashed up. The reference is to "the foreskin of the Philistine". 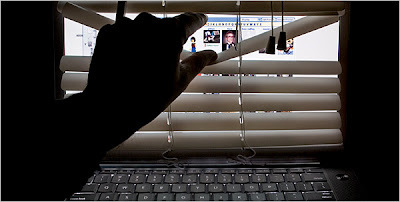 Should have done what bloggers do - stalk, take pictures, publish them on a blog and get the police to do their job. Shall we call this Foreskin Done In? True, there was no mention of what the final-status agreement would look like, as the PA had hoped, but overall, the PA's negotiating tactics worked. By fomenting a crisis, they compelled the Americans to pressure Israel, and Israel capitulated. And we have a full year to go...and capitulate. 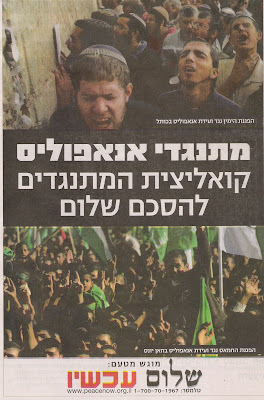 The "they" are the Neturei Karta. The spoilers. "The Jewish people are in a state of divinely ordained exile, since the destruction of the Jewish Temple, some 2000 years ago. We are expressly forbidden to: 1) attempt to leave exile, i.e. to have our own State, 2) to go up en masse to the Holy Land, 3) to rebel against any nation." 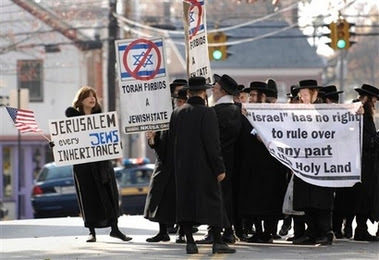 "Exile means, that Jews are required to be loyal citizens in every country in which they live. Force of arms and violence against any people, including in the Holy Land, is forbidden." "Throughout the centuries, all Jewry believed that the end of the Jewish exile would come about, via miraculous Divine means and usher in the peaceful salvation of all mankind. It will be a time of universal peace and brotherhood, in service of the One God. Redemption from exile never meant a materialistic 'State of Israel.'" Thank you Helene Storch, Monsey, NY, of the ZOA. Tzippy Got Angry? At the Pals.? ...the Israelis had a different version of what had happened: They said the Monday night talks with Erekat produced several agreements, but the next morning, the Palestinians changed their mind. That, said the Israelis, already had happened several times during talks on the declaration, but they were shocked that the Palestinians were doing it again at this late date and on such fundamental issues as a timetable for negotiations and reference to the road map peace plan. Foreign Minister Tzipi Livni, who headed the Israeli team, lost her temper and told Qureia to "take it or get lost," the sources said. As the difficulties mounted, there were also fierce arguments within the Israeli team: Livni very much wanted a joint declaration, but some members of the team said it was "a waste of time," and suggested she forget about it. 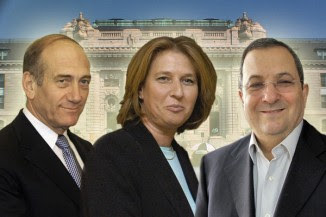 Olmert, however, sided with Livni, and the Americans' determination tipped the scales. necessary from the international community. This will be one of the topics that we will discuss in upcoming meetings with our Quartet partners, the first of which will be held on or around December 17th. On or around that same day, the French Government will host a donors conference in Paris to support Palestinian reform and institution building. We heard today from former Prime Minister Tony Blair, Palestinian Prime Minister Fayyad and Defense Minister Barak about this important work. This conference will be an essential opportunity for the international community to pledge tangible and generous assistance to the economic development of Palestinian society and to provide maximal resources for the Palestinian Authority's program of institutional building in preparation for statehood. We expect broad international attendance at this meeting and I want to thank the French Government for its willingness to organize the conference. Russian Foreign Minister Sergei Lavrov told Russian news agencies Wednesday his country will host the next international conference on the Middle East. He added, "We have yet to agree on the timing and agenda of this meeting." Annapolitics has nothing to do with justice, fairness, objectivity, or basic human rights...Make no mistake. The Americans are enemies. Under the leadership of Rice and Bush (in that order) the United States has been transformed into one of Israel's most dangerous foes. The policies being forced down our throats, including abandonment of virtually all of Judea and Samaria, as well as Jerusalem, is only the beginning. The Golan Heights are not far behind. What can we pray for? Also very simple. The lynchpin of this entire absurdity is Abu Mazen – Mahmoud Abbas, 'president' of the PA. If Olmert goes, Tzippy, Barak and Bibi are waiting in the wings. Bibi – his reaction wasn't one of horror, rather that we conceded too much without getting anything in return. And when Bush concludes his presidency, who knows who will replace him. But if Abu Mazen should disappear from the scene, the deal's off. So, maybe we should pray that Hamas get to him ASAP. They know how to do the job and he's more than likely in their sights. 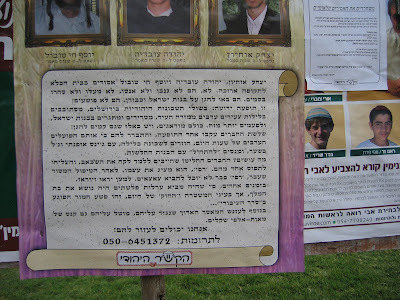 Why should the Jews of Hebron have to be the first sacrifice of Annapolitics? Bush has lost his mind and his moral compass. This statement is an outrage. A lie and a blood libel. Israel has never committed any acts of terrorism. What a tool of Islamic jihad. Based on that, Bush is a terrorist, anyone that defends himself, his family, his country is a terrorist. And if Olmert had one ounce of integrity, he would have walked. Awful, all of it. We agree to immediately launch good faith bilateral negotiations in order to conclude a peace treaty resolving all outstanding issues, including all core issues, without exception, as specified in previous agreements. We agree to engage in vigorous, ongoing and continuous negotiations, and shall make every effort to conclude an agreement before the end of 2008. For this purpose, a steering committee, led jointly by the head of the delegation of each party, will meet continuously, as agreed. The steering committee will develop a joint work plan and establish and oversee the work of negotiations teams to address all issues, to be headed by one lead representative from each party. The first session of the steering committee will be held on 12 December 2007. The parties also commit to immediately implement their respective obligations under the Performance-Based Road Map to a Permanent Two-State Solution to the Israel-Palestinian Conflict, issued by the Quartet on 30 April 2003 (hereinafter, "the Roadmap") and agree to form an American, Palestinian and Israeli mechanism, led by the United States, to follow up on the implementation of the Roadmap. The parties further commit to continue the implementation of the ongoing obligations of the Roadmap until they reach a peace treaty. The United States will monitor and judge the fulfillment of the commitments of both sides of the Roadmap. Unless otherwise agreed by the parties, implementation of the future peace treaty will be subject to the implementation of the Roadmap, as judged by the United States. In conclusion, we express our profound appreciation to the President of the United States and his Administration, and to the participants of this international conference, for their support for our bilateral peace process. The only way some form of quiet will ever exist in the Middle East is if Israel is given the latitude to totally defeat its declared enemies. Only then will the terrorist attacks on Israel's civilians come to an end. Perpetual negotiations, diplomatic half measures, or land for peace deals will not bring peace to the Middle East. But this business of the Annapolis peace conference, a lot of Republicans, a lot of conservatives think that this is just a waste of time, this is Jimmy Carteresque, legacy building, there's no hope here, that he's turned the Bush doctrine on its head. Why the hell have Syria there? How in the world can you complain and whine about Nancy Pelosi going to visit Bashar Assad, and then invite Assad to Annapolis to participate in the Middle East so-called peace process trying to set up a Palestinian state, side-by-side with the Israelis? This is formulaic. This is nothing new; it happens. This is a constant, never-ending battle. There are time-outs. This is a time-out. It's just gotten to the point there's a time-out and we're going to go through the motions of a peace agreement here. Now, some people say -- I'm not sure I agree with this -- but some people say that Bush is dealing from a position of strength on this, that he's already shaken up the Middle East, we are winning the war in Iraq, that there are a number of foreign policy successes here to play off of. Here's my problem with this, and it's not what the president's trying to do. By the way, he's always pushed for a Palestinian state. This is something that is not new. The problem is that every time this thing comes up, Israel has to give things up, it's Israel has to stop -- because the other guys will not. The other guys will simply not accept any concessions. Now, Ralph Peters, writing today in the New York Post, makes an excellent point. He says the dirty little secret is that all of these different groups -- Hamas and Fatah -- I mean, really, they are in effect, they are in a civil war. Any of you Democrats, you want to talk about civil war in Iraq, how about Fatah and Hamas? Now, there's a genuine civil war among the Palestinians and the reason for the civil war is that one small faction is really fed up with all the violence and would really like to have peace and a growing economy, and the other side doesn't want any part of it. Now, Ralph Peters' brilliant point in the New York Post today was that the business of hating Israel and the business of terrorism against Israel and the business of constant agitation has become a business. It is the way they earn their living, and if they somehow agreed to peace, what would their new jobs be, cleaning toilets? Would you rather be armed with AK-47s and Kalashnikovs and run around creating hell and confusion, or cleaning toilets? Well, he's using that as an illustration. But the Limbaugh Doctrine, do you remember the Limbaugh Doctrine, folks? Do you remember what the Limbaugh Doctrine says? What is this peace? We're trying to once again come up with peace between the Palestinians and the Israelis. The Arabs in that world don't want any part of peace. Most of the Arab countries in that part of the world, be they oil states or not, have populations that do not share in the wealth of the leadership, and who gets blamed? The Israelis. The Israelis are the most convenient whipping dog that the Arab states have. They don't want to lose that. That's the biggest excuse they have to tell their people, "Yeah, well, the reason why the toilets aren't flushing today is Israel. Yeah, well, the reason why you don't have clean drinking water, is Israel," and you don't want to give that up because their populations believe it. They hate the Jews, as does Hamas and as does Fatah and all these other jihad groups. This is not going to permanently end -- this is the Limbaugh Doctrine -- this is not going to permanently end until one side wipes the other out. Peace does not happen from words. 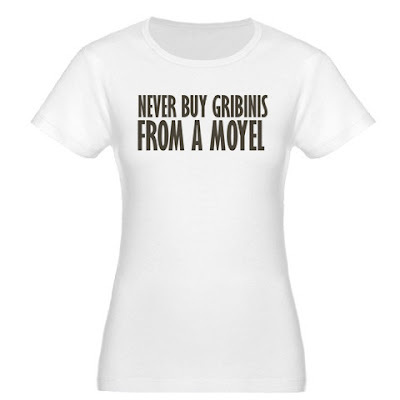 It does not happen via negotiation. It does not happen. You might get a temporary break in the hostilities, which is what this is designed to do. This is designed to create a time-out and get them to stop. When the Saudis show up and say, "I'm not shaking hands with anybody," it kind of tells you something. "I'm not going to have a picture of me shaking hands with the Israeli leader. I'm not going to have my people back home see that. There's nothing to shake hands about, why should I shake his hand?" So when one of these sides is wiped out, that's when you'll get peace. But until that happens, this is just going to continue the way it's going and we're going to have the peace process, and at every turn Israel is going to be asked to make concessions because the other side will not. And poor old Olmert; he's out of his league. 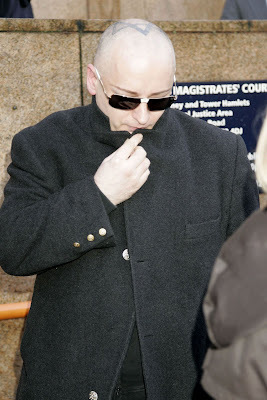 You can look at his picture, looked bad, looks like he's beleaguered as he can be. He's being dragged into this by a huge ally. RUSH: Folks, go back, if you want to, count the number Middle East peace conferences we've had and accords. You can't put them on two pieces of paper. And how many have worked? Zero. The whole point is, we sit and ask Israel to continue to make concessions for a broader peace that never, ever happens. It's what's going on. Er, gee, gosh...Israeli police, yes? You have to read the story to know who killed the hapless demonstrator because the headline misleads. Why not "Palestinian Authority Police Kill Anti-Peace Talks Protestor"
or "Palestinian Anti-Peace protestor Killed by Palestinian Police"? ...Jacques Gauthier, a Canadian Lawyer...just received his PhD after twenty years of research on the legal status of Jerusalem and the writing of a dissertation of some 1300 pages with 3000 footnotes. He is not a Jew and had to present his thesis to a panel of two of the leading international lawyers and one world famous Jewish historian. The reason for so many footnotes was to enable himself to defend his thesis from intense attack by one of the lawyers who happened to be a Jewish anti-Zionist and who had represented the PA on numerous occasions. This had never happened before in history. No such recognition had ever been according to anyone, ever. Palestine was to be held for the Jewish people wherever they lived. ART. 2. The Mandatory shall be responsible for placing the country under such political, administrative and economic conditions as will secure the establishment of the Jewish national home, as laid down in the preamble, and the development of self-governing institutions, and also for safeguarding the civil and religious rights of all the inhabitants of Palestine, irrespective of race and religion. Thus the operative clause specifically referred to the preamble and reiterated that there were no political rights for other inhabitants. ART. 5. The Mandatory shall be responsible for seeing that no Palestine territory shall be ceded or leased to, or in any way placed under the control of the Government of any foreign Power. ART. 6. The Administration of Palestine, while ensuring that the rights and position of other sections of the population are not prejudiced, shall facilitate Jewish immigration under suitable conditions and shall encourage, in co-operation with the Jewish agency referred to in Article 4, close settlement by Jews on the land, including State lands and waste lands not required for public purposes. Article: 80 .. nothing in this Chapter shall be construed in or of itself to alter in any manner the rights whatsoever of any states or any peoples or the terms of existing international instruments to which Members of the United Nations may respectively be parties. Thus the Palestinian Mandate continued without change. 6. In 1947, the General Assembly of the UN passed Res 181 which became known as the Partition Plan pursuant to which both Jews and Arabs could announce their state. First it must be noted that the Charter of the UN specifically gave no power to the General Assembly because that would infringe on the sovereign power of individual members. So the GA could recommend only. Secondly, this recommendation was in violation of the terms of the Mandate. A. SPECIAL REGIME The City of Jerusalem shall be established as a corpus separatum under a special international regime and shall be administered by the United Nations. The Trusteeship Council shall be designated to discharge the responsibilities of the Administering Authority on behalf of the United Nations. B. BOUNDARIES OF THE CITY The City of Jerusalem shall include the present municipality of Jerusalem plus the surrounding villages and towns, the most eastern of which shall be Abu Dis; the most southern, Bethlehem; the most western, ‘Ein Karim (including also the built-up area of Motsa); and the most northern Shu’fat, as indicated on the attached sketch-map (annex B). But this regime was to be limited in time. This provision for a referendum was of critical importance to the acceptance of Res 181 by Ben Gurion. He knew that the Jews were in a majority within these boundaries and would be in 10 years when the referendum was to be held. Thus he was confidant that Jerusalem would return to Jewish hands. Keep in mind that the disposition of this area was to be determined not by Israel but by the residents of Jerusalem so defined. Currently the Jews have a 2:1 majority there. Needless to say that after the Armistance Agreement of ‘49 the Jordanians who were in control of Jerusalem violated every provision of this resolution calling for among other things respect for holy places. The referendum never took place. After the ‘67 war in which Israel regained the land to the Jordan including Jerusalem, Res 242 of the Security Council was passed authorizing Israel to remain in possession of all the land until they had “secure and recognized boundaries”. It did not require Israel to withdraw from all of the territories and it was silent on Jerusalem. Also it “Affirms further the necessity for achieving a just settlement of the refugee problem”. There was no reference to Res 181 nor was there a distinction made between Jewish and Arab refugees. Not only should Israel be demanding that the referendum be held now, Jerusalem should be the first order of business. Olmert is sloughing us off by saying “Jerusalem is not on the table yet”. He should demand that the referendum take place before the balance of the land is negotiated. If the Arabs won’t agree to the referendum there is nothing to talk about. I have an op-ed up at Arutz Sheva entitled, "'Occupied' Rabbis". Did I Hear Some Whisper Goebbels? "That propaganda is good which leads to success, and that is bad which fails to achieve the desired result," he wrote. "It is not propaganda’s task to be intelligent, its task is to lead to success." When a friend criticised him for denigrating Weiss, a man with an exemplary military record, "he explained cynically that he wasn’t in the least interested in Weiss, only in the propaganda effect." "Aim — drive the Jews out of Berlin," he wrote in his diary in June 1938, "and without any sentimentality." Peace Now is attempting to draw a unseemly and immoral parallel between violent and murderous terrorists, bloddthirsty, and Jews who are crying for security in the face of that terror as they expect that the government's acceptance of the new Annapolis peace process will cause more death. They are adopting anathemous methods. Jews are praying peacefully at the Western Wall and Arabs are rampaging through the streets of Gaza shooting off guns but for Peace Now there is an equivalency. The Israelis must do their part. They must show the world that they are ready to begin — bring an end to the occupation that began in 1967 through a negotiated settlement. This settlement will establish Palestine as a Palestinian homeland, just as Israel is a homeland for the Jewish people. Israel must demonstrate its support for the creation of a prosperous and successful Palestinian state by removing unauthorized outposts, ending settlement expansion and finding other ways for the Palestinian Authority to exercise its responsibilities without compromising Israel’s security. Is it new communities? New neighborhoods within existing communities? New houses, added rooms, basements and upstairs additions? The United States will monitor and judge the fulfillment of the commitment of both sides of the road map. Unless otherwise agreed by the parties, implementation of the future peace treaty will be subject to the implementation of the road map as judged by the United States. So, the US is now an active part of the process. A mother and daughter from Georgia were each sentenced Monday to a three-year conditional discharge for disrupting services at two upstate New York temples. Peggy Davidson and Judy Overby of McDonough, Ga., each pleaded guilty earlier this month to one felony count of falsely reporting an incident and two misdemeanor counts of disrupting a religious service. Onondaga County Judge Anthony Aloi sentenced the women over the objections of prosecutors, who wanted jail time. Davidson, 44, and her 74-year-old mother were arrested for disrupting services Sept. 8 at Temple Adath Yeshurun in DeWitt and Young Israel-Shaarei Torah synagogue in Syracuse. Authorities said the women also threatened to blow up the Dome of the Rock, an Islamic shrine in Jerusalem. The two women claimed they were missionaries who came to Syracuse in September because of dreams they had from God. Ladies, ladies. Please. One temple at a time. Earlier Monday, a pro-Israel demonstration just outside the academy's main entrance drew about 15 protesters calmly waving signs in light rain. They said they were concerned that the conference would lead to concessions that would result in the loss of Israeli land. One man periodically blew a shofar, the traditional Jewish ram's horn, and a woman waved the flag of Israel. A report from someone there? Israel's Jewish Enemies - A "Dear Henry Letter"
As I have noted here previously, I have met with Henry Siegman. He is not that bright in that he allows his perverted political world view to alter the facts that he knows are incorrect. His intellect is also a bit weary. It is not true, as Israelis often claim, that Palestinians refuse to compromise. (Former prime minister Benjamin Netanyahu famously complained that "Palestinians take and take while Israel gives and gives.") That is an indecent charge, not only because so far Israel has given Palestinians nothing, but because Palestinians made the most far-reaching compromise of all when, in 1988, Arafat formally accepted the legitimacy of Israel within the 1949 armistice line (i.e., the pre-1967 border). With that concession, Palestinians gave up their claim to more than half the territory that the United Nations 1947 Partition Resolution had assigned to Palestine's Arab inhabitants. Palestinians have never received credit for this wrenching and historic concession, made well before Israel formally recognized that Palestinians have a right to sovereignty in any part of Palestine. The notion that Palestinians can now be compelled to accept "border adjustments" at the expense of the 22 per cent of the territory that is left them is deeply offensive to Palestinians, and understandably so. Let's take each of the above four lies in turn. Handing over Gaza is nothing? Six major Yesha cities (Ramallah, Jenin, Jericho, Tul Karem, Bethlehem and most of Hebron). Guns. Bullets. A proposal to hand over 97% at Wye. Are you stupid, Henry? Ignorant? Is Mahmoud Abbas paying you to write this drivel? Concession? The entire world recognizes Israel, in the territory awarded it by the United Nations, and the Pals. can't recognize Israel at all because they have a difference of opinion, launched a war, lost a war and are now angry with Israel instead of being angry with themselves. It's a concession to admit you're wrong and you can't bring yourselves to acknowledge Israel's legitimacy? Are you an apologist, Henry? Not all of "Palestine's Arabs", Henry, not all. You know that Palestine was much larger than the 1947 territory, don't you? That Great Britain decided unilaterally to size-down the area for a Jewish National Home in 1922-23 and that the Arabs in what we now know as the Hashemite Kingdom of Jordan are all so-called "Palestinians", right Henry? Well, not all. The descendants of those Saudi Arabian refugees, you know Henry, Abdullah, his grandson, Hussein, and his great-grandson, Abdullah, - the royal clan. They are the only Arabs who don't ethnically belong to the kingdom. The kingdom is now over 70% Pals. so maybe Abdullah has a demographic problem and not Israel? Will you watch out for him, Henry? Continued from above. What 22%? That of the original mandate or the whittled down one. The Arabs - Pals., Jordanians, TransJordanians or whatever - got 75% of the Jewish National Home territory, Henry. Can't you count? Listen, Henry. If you really want to be serious about being against Israel, try to be correct. It helps, even though there's nothing wrong with the basics of Zionism and Israel. Supreme Court President Dorit Beinisch should disqualify herself from deliberating issues related to settlement activity in the West Bank, MK Otneil Schneller said Wednesday morning following a The Jewish Daily Forward report that during a meeting last month with US Ambassador to Israel Richard Jones, Beinisch was asked to comment on rulings made by the supreme court regarding settlement activity in the West Bank. ...Beinisch had compromised her position by involving herself in political issues and by allowing the Americans to dictate judicial policy to her, Schneller told Israel Radio. Anyone Know How to Pronounce His First Name? Farquhar MacIntosh, schoolteacher: born Elgol, Ross and Cromarty 27 October 1923; Headmaster, Portree High School 1962-66; Member, Highlands and Islands Development Consultative Council 1965-82; Rector, Oban High School 1967-72; Rector, Royal High School, Edinburgh 1972-89; CBE 1982; married 1959 Margaret Inglis (two sons, two daughters); died Edinburgh 18 November 2007. Farquhar Macintosh was born into the crofting community and the Highland clans, at Elgol on the Isle of Skye – his mother was a MacKinnon, who inculcated in him a love of song and folklore. Sadly, like the Girl of Qatif, the people of Israel stand to be punished for putting themselves in such a compromising position. Unfortunately for them and for others who will be victimized in the future by Israel's emboldened Islamist enemies, the penalty for the “process” resuscitated at the Naval Academy and the concessions that will flow from it will not be the lash. It may well prove to be a death sentence. Read all of Frank Gaffney's op-ed. 13th century and was made in Southern Germany or Austria. But Mr Fingernagel says it is very different from other medieval maps and is clearly a copy of a much earlier document, dating back to the 5th century. "In maps from the 12th or 13th century, Jerusalem, not Rome, was in the centre," he said. What they knew then, Olmert will never understand, it seems. The president of the Oxford Union Debating Society, Luke Tryl, told the BBC he was disappointed by the actions of those who tried to stop the event [David Irving at the Oxfor Debating Society] going ahead. "The way to take fascism on is through debate and that's how we're going to defeat them," he said. All things being what they are: If there’s a single good that can come of this conference, what would you urge the U.S. that it be? Glick: The only good thing that can come from this conference is that President George W. Bush recognizes the harm that Rice is doing to the U.S.’s national-security interests by undermining the Bush doctrine. From the six-party talks with North Korea to her bizarre and dangerous decision to attempt to appease Iran by holding talks with the millenarian theocracy in Iraq; supporting the EU’s failed nuclear diplomacy and authorizing the U.N. Security Council to (mis)handle Iran’s nuclear-weapons program; to her seeming obsession with establishing a pro-Iranian, jihadist Palestinian state before the end of the Bush presidency; to her unpardonable neglect of Iraq, Rice has taken a knife to everything Bush has staked his presidency on. If the failure of Annapolis causes the president to distance himself from Rice and end her foreign-policy supremacy, then in retrospect, the conference may have been worth the effort. I received the above from a group called Israel White Paper who had the above banner professionally designed. They are urgently appealing for all webmasters to place it prominently on the homepage of their websites to combat the effects of the Annapolis Summit, which threaten to make Judea and Samaria "Judenrein." As I am limited in my computer technical capabilities, this is where it goes. Prime Minister Ehud Olmert said on Monday that the issue of Jerusalem is an Israeli issue and not a "Jewish issue." He made the statement as delegates from the Orthodox Union (OU) and pro-Israel Christians met with American National Security Advisor Stephen Hadley to express opposition to plans by the Olmert administration to divide the Jewish capital with the Palestinian Authority (PA). Israel's left-wing group Peace Now seized on the two anti-Annapolis events, suggesting that Hamas and rightist Zionists share a common intransigence. "They both use religion to preach against the possibility to reach a peace accord between the parties," Peace Now head Yariv Oppenheimer was quoted as saying by Ynet. Funny that. If I said Yariv Oppenheimer's wife (and I don't know if he is married and if he is, I surely don't know who she is) is a prostitute because both she and prostitutes engage in sexual activity with men, would that be a nice or correct thing to say? For Ehud Olmert, Ehud Barak and Tzipi Livni, the trip to the Annapolis summit not only signals Israel's seriousness about peacemaking but also provides the bitter political rivals an opportunity to jockey for Israel's top job. Earlier Monday, Prime Minister Ehud Olmert Monday categorically rejected assertions by American Jewish leaders that Jerusalem is not an Israeli issue but "a Jewish one." The Jewish leaders are demanding that American Jews should have a say in any discussion about dividing Jerusalem. Speaking at a news briefing Monday, Olmert said that the Jerusalem issue had "been determined long ago" and that "the government of Israel has a sovereign right to negotiate anything on behalf of Israel." He said that at this stage, the matter was a theoretical rather than practical one, as the subject of Jerusalem was not yet on the negotiating table. Get your dashboard figure here. By the spring of 2004, when Mr. Bush agreed to support a plan by Mr. Sharon to withdraw Israeli settlers and forces from Gaza, Mr. Sharon asked for something more that set off a huge fight within the administration: American recognition that Palestinian refugees and their descendants who had fled in the 1940s would have a right of return to a new Palestinian state, but not to Israel itself. Ms. Rice agreed that allowing Palestinians to return to Israel would overwhelm the Jewish population and effectively obliterate Israel’s identity as a Jewish state. Mr. Cheney and his allies supported Mr. Sharon’s request, but the State Department had always taken the position that the issue — with the final borders of a Palestinian state and how Jerusalem might be shared by the two sides — should be decided through negotiations, not by fiat from Washington. Aware of the debate within the Bush administration, Tzipi Livni, now the Israeli foreign minister but then the minister for immigrant absorption, went to plead her case to Ms. Rice in Washington. “I had the opportunity to convince Rice,” Ms. Livni said in an interview with The New York Times earlier this year. Ms. Rice said she understood the issue was “very, very core” to Ms. Livni, and acknowledged that Ms. Livni’s appeal “was taken into account in the president’s words” when Mr. Bush made a pivotal announcement, in April 2004, that any “just, fair and realistic framework” for Israel would mean that Palestinians would have to settle in their own state — an enormous benefit to Mr. Sharon. But does she adhere to that committment? 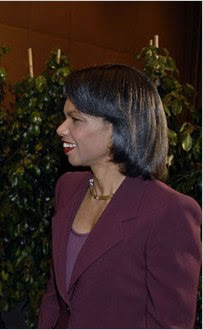 Accordingly, Ms. Rice spent much of 2005 working on the Gaza withdrawal that she thought would contribute to stability. Instead, it was seen as so emboldening the radicals that in early 2006 Hamas won a landslide victory in Palestinian elections over Mr. Abbas and his governing party, Fatah. “I thought, ‘Well, that’s not right,’” Ms. Rice recalled. When the crawl continued, she got off the elliptical trainer and called the State Department. Thomas Friedman suggests that "if the Middle East could use more of anything these days it is more mingling — if not between the sexes then at least between the sects", ("The Case for Internmingling", Nov. 25). Witty, perhaps. However, the consequences for Israel until then are fraught with danger. For if Arab Muslims, in Saudi Arabia, Iran, Gaza District, et.al., act so injudiciously, so cruelly and so immorally one to another within the same religion, what can the Jews of Israel, not only an enemy based on nationalistic misunderstandings but of a different religion altogether, expect? Should not an Israel-Arab peace wait until Arab Muslims make peace among themselves? It’s time to rectify the fundamental error he made in allowing war-on-terror rhetoric to discredit the Palestinian national movement. The Pals. haven't done enough to discredit themselves? (take a look here, for example, as well as here and this, too). The Palestinians are desperate because they are at a dead end. They’ve been the losers over six decades through ineptitude, corruption, Arab hypocrisy and their susceptibility to victims’ hollow consolations. Besides being untrue, Israel need not sacrifice anything. Not a durn thing. Israel is powerful, but Palestinian humiliation is an Israeli and Jewish nightmare. I feel it; many American Jews feel it. ...The first question (one might think it is obvious but apparently not) is, "What is the conflict about?" There are basically two possibilities: that it is about the size of Israel, or about its existence. If the issue is about the size of Israel, then we have a straightforward border problem, like Alsace-Lorraine or Texas. That is to say, not easy, but possible to solve in the long run, and to live with in the meantime. If, on the other hand, the issue is the existence of Israel, then clearly it is insoluble by negotiation. There is no compromise position between existing and not existing, and no conceivable government of Israel is going to negotiate on whether that country should or should not exist. ...Without genuine acceptance of Israel's right to exist as a Jewish State, as the more than 20 members of the Arab League exist as Arab States, or the much larger number of members of the Organization of the Islamic Conference exist as Islamic states, peace cannot be negotiated. A good example of how this problem affects negotiation is the much-discussed refugee question...What happened was thus, in effect, an exchange of populations not unlike that which took place in the Indian subcontinent in the previous year, when British India was split into India and Pakistan...The Poles and the Germans, the Hindus and the Muslims, the Jewish refugees from Arab lands, all were resettled in their new homes and accorded the normal rights of citizenship. More remarkably, this was done without international aid. The one exception was the Palestinian Arabs in neighboring Arab countries. ...The reason for this has been stated by various Arab spokesmen. It is the need to preserve the Palestinians as a separate entity until the time when they will return and reclaim the whole of Palestine; that is to say, all of the West Bank, the Gaza Strip and Israel. The demand for the "return" of the refugees, in other words, means the destruction of Israel. This is highly unlikely to be approved by any Israeli government. ...Which brings us back to the Annapolis summit. If the issue is not the size of Israel, but its existence, negotiations are foredoomed. And in light of the past record, it is clear that is and will remain the issue, until the Arab leadership either achieves or renounces its purpose -- to destroy Israel. Both seem equally unlikely for the time being. It seems to me that if the Middle East could use more of anything these days it is more mingling — if not between the sexes then at least between the sects. Click here and then click on "Listen Now" to know what l'candel or לקנדלmeans. Funny, that Magen David is only visible is he shaves his head, so no Samson is he. Gives a new meaning to "skinhead". I noted previously that there is a Shiloh perfume. I won't be able to make it but if anyone does go, let me know how the smell is. We should expect these new discoveries to find a more prominent place in Israel’s future political discourse, especially after peace talks with the Palestinians break down. But will they lead to a spiritual revival within the deeply divided Jewish state?.. This past, of course, is grounded in the Hebrew Bible, where Jerusalem is referred to more than 650 times. Founded by King David, Jerusalem became Israel’s capital city one thousand years before the establishment of Christianity — 1,700 years before Islam. For Arab propagandists to erase that from their history books is one thing. But for Israel’s own leaders to separate themselves from that heritage? Columnist Shmuel Schnitzer asked years ago in the Israeli newspaper Maariv, “[W]hat kind of Jewish people will this be with no attachment to its land, without all the places of the book of Joshua, the wonderful vistas there, without the intensity of the prophetic vision, without the heritage of our fighters who spilt their blood for the country which was promised them and their descendants?” (Sept. 14, 1994). Israel’s enemies have always believed the Jews don’t belong where they are. And by denying their past, Israel’s Jews are essentially saying the same thing. For the past dozen years or so (I really can't recall now), I participate in a shi'ur every Motzei Shabbat (Saturday nights for those unfamiliar with the Hebrew term). First, we went through Mishna Middot. Then the Rambam Sefer Avodah. And now Sefer Shoftim. 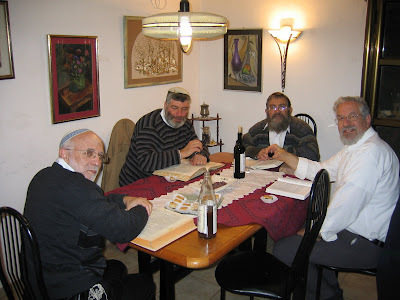 The Rav is Yaakov Navon (second from right) and the present participants are (left to right) Tzvi Shavit, Mitch Meyers and yours truly. (The wine and cake were on the occasion of Rav Navon's birthday. We don't drink every shi'ur). The Jewish state is in greater danger than anytime since the 1948 War of Independence. The danger stems not from current Arab violence, nor the threat of future violence. It lies in the convocation of the Annapolis conference conceived and promoted with almost frenetic enthusiasm by US Secretary of State Condoleezza Rice. Today, Arab League foreign ministers are scheduled to meet in Cairo to decide which countries will send representatives to Annapolis besides Mahmoud Abbas's Palestinian Authority/Palestine Liberation Organization. An unknown number of delegates from various Arab states together with representatives of the Quartet - US, Russia, the UN and the European Union - will presumably turn up for the conference opening at Annapolis, Maryland, on November 27. WHOEVER THEY are, an analysis of their respective outlooks shows that all the delegates are committed to the diminution of Israel and some, frankly, to her consequent extinction. They will be faced by a single delegation from Israel, headed by Ehud Olmert. He has already announced (on November 4) that there will be no "negotiations" at the conference, only a "jumping-off ground for continued serious and in-depth negotiations, which will not avoid any issue or ignore any division which has clouded our relations with the Palestinian people for many years." And among them he mentioned "refugees." Coming even from the notably unprincipled Ehud Olmert, his inclusion of the "refugees" is most disturbing. This is a subject which, as all Israeli governments have repeatedly made clear, they are not prepared to discuss, for very good reason. It is simply not arguable. To discuss it is to flout the will of the people. Now it touches the outer edge of Olmert's irresponsibility. The "refugee problem" was created by the Arabs, who led the 1948 invasion of Israel, and it was created deliberately to bring about what president Gamal Nasser of Egypt called the "end of Israel." Olmert's loose-tongued talk raises acutely the serious question of the very legitimacy of all his representations on behalf of Israel. No less significant are his and Foreign Minister Tzipi Livni's frequent references to the Road Map as the basis for Israel's policy at the projected conference. This is outright deception. The Road Map is dead. It died stillborn - when Abbas refused to implement its first clause: the surrender of arms. "I do not intend," he said, "to have a civil war on my hands." That first clause was manifestly the only potential safeguard of Israel's security. MORE THAN that, when and how did the Israeli government accept the Road Map? Do Olmert and Livni forget the Road Map's reverberating slaps in Israel's face? The Road Map was concocted by the Quartet as a means of foisting on Israel a plan for creating a Palestinian state. It was drawn up in consultation with, and perhaps by the inspiration of, one of Israel's most virulent and most active enemies - Saudi Arabia. Then it was submitted for approval by the Arab League. Israel was kept in the dark. Israel was handed the Road Map in the same way, weirdly enough, as the Munich Pact was handed to the betrayed Czechs in 1938, by its authors Britain, France, Germany and Italy. When a shocked prime minister Ariel Sharon ventured to say that there were 14 amendments (which he presumably felt could make the repugnant diktat acceptable to Israel), he was told tersely and without qualification by US secretary of state Colin Powell that no amendments would be considered (exactly what the Czechs were told in 1938). "The Palestinians will dismantle the existing security organizations and implement security reforms during the course of which new organizations will be formed and act to combat terror, violence and incitement (incitement must cease immediately and the Palestinian Authority must educate for peace). These organizations will engage in genuine prevention of terror and violence through arrests, interrogations, prevention and the enforcement of the legal groundwork for investigations, prosecution and punishment. "In the first phase of the plan and as a condition for progress to the second phase, the Palestinians will complete the dismantling of terrorist organizations (Hamas, Islamic Jihad, the Popular Front, the Democratic Front, al-Aksa Brigades and other apparatuses) and their infrastructure, collection of all illegal weapons and their transfer to a third party for the sake of being removed from the area and destroyed; cessation of weapons smuggling and weapons production inside the Palestinian Authority, activation of the full prevention apparatus and cessation of incitement. There will be no progress to the second phase without the fulfillment of all the above mentioned conditions relating to the war against terror." MANIFESTLY NONE of this was implemented, and the Road Map was quietly buried. But Washington, feeling the need for some achievement in the Middle East as a counterweight to the widespread criticism of its performance in Iraq, then gave birth to an alternative means of producing a quick-fix Palestinian state. That, it seems, is how the idea of an international conference was born. Meantime, however, the political map of the Israel- Arab dispute changed radically. Not that the demonization of Israel throughout the Arab world - and the world at large - has decreased. The imams continue to blare forth their incendiary messages from the mosques every Friday, the children in the schools continue to be indoctrinated daily with hate and contempt for Israel and the Jewish people. A revolution, however, has taken place in the Palestinian arena. By a democratic election in January 2006 the Hamas terrorist organization became the governing power in the Palestinian Authority. And by June 2007 Hamas had ousted Fatah from the Gaza Strip. Abbas still heads the Palestinian Authority on the "West Bank," so in fact there now exist two conflicting governing bodies; and it is Hamas that provides most of the terror - though bizarrely, Abbas's own Fatah Aksa Martyrs Brigades took responsibility for the murder of Ido Zoldan, a 29-year-old father of two from Shavei Shomron, on Monday night. It carried out the attack as "a protest against the Annapolis conference and a response to Israel's crimes against the Palestinians." So it turns out that Abbas doesn't (or won't) control all armed factions of his own Fatah movement. STILL HE'S considered a "moderate," and is now widely courted. Abbas has been received at the White House, and he is the Chosen Partner of Olmert and Livni. They, under the tutelage of Condoleezza Rice - and, as they claim, the inspiration of the Road Map - will help to bring about peace and the Palestinian state. To smooth the path toward negotiations and boost Abbas' popularity, Israel is told to make concessions. Any difficulties that arise are met by cries from Washington: "The conference must not fail." And so comes the pressure for concession after concession by Israel to "help Abu Mazen": almost 500 security prisoners are to be released on top of the hundreds already freed; Abbas's forces in Nablus are to receive 25 Russian-made armored vehicles; blockades in Judea and Samaria have been lifted (making drive-by shootings easier), and future cessions of territory are dangled before the Arabs. All this on top of Jerusalem's promise that every claim and demand ever made on Israel by the "Palestinians" will be on the table. PERHAPS Ms. Rice simply does not understand that in the situation thus created, Abbas, his hold threatened by a more belligerent Hamas, dares not claim and demand from Israel any less than Hamas, and so Olmert, willy-nilly, will find himself, in effect, negotiating in Annapolis on terms laid down by Hamas. Thus Israel has reached an unprecedented nadir in the dispute with the Palestinian Arabs. An examination of each step down into the depths proves how every Israeli government has failed to assert itself in confronting the deadly Arab purpose. There is only one way to stop the descent. Israel must effect a complete reversal of policy. Interestingly enough, Tzipi Livni, in the course of a recent lecture published in the Israel Journal of Foreign Affairs, unwittingly laid down two vital truths on which Israel must base its policy. In the title of her lecture she describes Israel's present situation as being at a "crossroads," and in the body of the lecture she says "Absolutely the last thing that Israel can afford and the last thing the world needs is the establishment of another terror state in the Middle East." Absolutely, indeed; and as neither she nor Olmert - nor, if you were to press them, Rice and President George W. Bush himself - can provide a smidgen of evidence to suggest that a Palestinian state will not be a terror state, "the last thing that Israel can afford and the last thing the world needs is a conference to establish a Palestinian state." The writer, who co-founded the Herut Party with Menachem Begin and was a member of the first Knesset, is a biographer, essayist and veteran Post contributor. Sir, - The exhibit reviewed in your magazine on November 2 ("Let my people go"), which presents a historic summary of the Jewish national movement struggle in the USSR, is the result of a large investment of time and energy on the part of the organizers. Nevertheless, one major failing must be pointed out. The exhibit represents the position of official Israel government policy, and of the Jewish establishment bodies. In essence, the leading activist players and groups who actually galvanized the struggle and took it into the streets and into the media are marginalized, if not eliminated entirely. The visitor leaves knowing nothing of the central crucial factor of that struggle, which is that the campaign to liberate Russian Jews was delayed, and at times crippled, by the policy of the various governments of Israel and the Jewish organizations abroad who fell in with it. As is documented, for example, in Prof. Fred Lazin's recent book The Struggle for Soviet Jewry in American Politics, as well as in others, the opposition to an independent activist struggle and the denigration of and interference with such tactics - which were then adopted several years later - hampered the campaign. In addition, much is hidden. The pre-1967 activities are downplayed. Later minor figures are near-glorified. The early crucial contributions of Yitzhak Shamir, Geula Cohen, Morris Brafman, Bernard Deutsch, Pesach Mor and many others are absent. Rabbi Meir Kahane's JDL is dismissed as simply "crude." Are we to assume that political favoritism was at play here? Was history altered and perhaps obliterated to suit patrons? We can argue retrospectively over methods and tactics, but that a great part of what happened in those years was placed out of sight is an unfortunate reflection on the organizers. 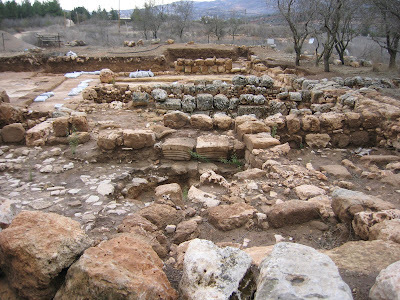 For those following this blog you know that I am very involved with Tel Shiloh, the archeological mound where the village of Shiloh existed with the Tabernacle, etc. And you know that two years ago there was a major excavation involving the discovery of a new basilica. And that the digs were extended to the west where Roman structures have been found. Well, that was enough of the past. Let's see something from the present and future. 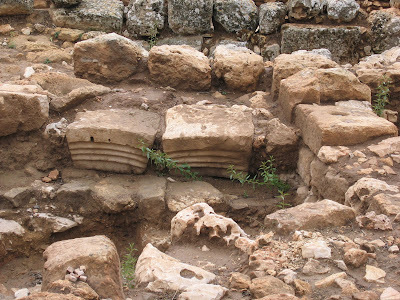 lintels dating from the Roman period, in secondary use in a Moslem structure. say two people Ruchama and Rachel who wrote to me,. Is This A Front for Tony Blair? 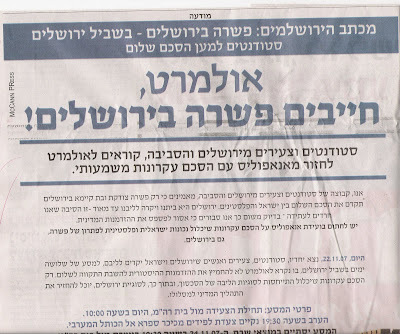 Below is the top half of a political advertisement that appeared in today's Haaretz (the bottom half appears at the end of this blog post). Olmert, There Must be a Compromise in Jerusalem! But what interests me is that, if you will please look carefully at the left upper section, you will see that the advert was prepared by "McCann PRess". Funny, that. Who/What is McCann PRess? Stay with me. McCann PRess Weber Shandwick is one of the leading communications agenices in Israel. The company provides media and public relations consultancy to businesses and organisations, with a strong specialism in crisis management. The highly-experienced team, including the deputy spokesman for the Israeli Ministry of Justice, has worked with leading companies in Israel and beyond. McCann PRess has expertise in managing crises and issues in the media, including for organisations in the legal, public, economic, criminal, and work relations sectors. The office offers a full range of services, including media training, media messaging, and press releases. For clients visiting Israel, the team at McCann Press can act as spokespeople, co-ordinate interviews with officials, arrange photo calls, and work with the media teams of the Prime Minister, the Minister of Foreign Affairs, and the Chairman of the Opposition to publicise the visit. Current clients include the Atomic Energy Commission, the Four Seasons hotel chain, Markstone Capital Group, Excellence Nessuah Investment House, Yellow Pages, Manpower, NeoPharm, Agrexco, 888.com and the Jerusalem Development Authority. Hmm. "and the Chairman of the Opposition". Neat, that. But I'm interested in something more. ...Weber Shandwick specialises in media, business and government; providing marketing communications, media and web relations, public affairs, and issues management, and offers corporate communications counselling services. It has 81 offices in 39 markets. Chaired by Jack Leslie, its global CEO is Harris Diamond. Its president is Andy Polansky. UK CEO Colin Byrne was hired by Peter Mandelson to advise UK Prime Minister Tony Blair during the 1997 and 2001 general elections. In 2006, Weber Shandwick was named Large PR Firm of the Year (PR News U.S.), European Consultancy of the Year (The Holmes Report) and Network of the Year (Asia Pacific PR Awards). The firm also won the United Nations Grand Award for outstanding achievement in public relations. In the Holmes Report's Best Agency to Work For study, Weber Shandwick scored the highest marks of any of the large, publicly-traded, full-service agencies. In 2007, Weber Shandwick received the highest client-satisfaction honors in the 2007 Agency Excellence Survey by PRWeek U.S. Weber Shandwick's clients include many Global Fortune 500 companies. So, it's a big firm (which means that someone is coughing up a lot of money) and it has links to...EU Special Middle Easy Envoy, Tony Blair. If Ron Weber is the Weber in this firm's name, well I recall him from maybe 20 years ago. He was an American Habonim member, lefty, travelled with Yossi Beilin, Shimon Peres, then got rich and branched out. But why would students and young people go to this PR firm? Have they the money, or the contacts? Or..
Is it Tony Blair somehow pushing the division of Jerusalem? And by the way, if you try visiting the website included there at the bottom of the advert, here, you get nowhere but to a dead-end. Very odd, that. Oops. Here's their site. And it strenghtens my case. It's a poor unimpressive site. As if they have no money. But they did have tens of thousands of NIS for the advert and to employ an expensive PR firm. So, is this a pro bono thing by McCann PRess? If so, why? Do they identify politically with Jerusalem's redivision or are they sucking up to Blair? 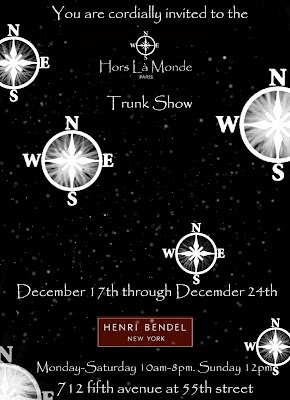 In New York? Go to a Demo! Grace, Wanna Come on Up to Shiloh? This is How It'll Go - Israel's Bood Shed? The Game Plan - "Tyranny"? Er, Which 'People' Is That? Ever See an "Illegal Home"? Is This An Applicable Idea for Security? What Have Two Pictures in Common?